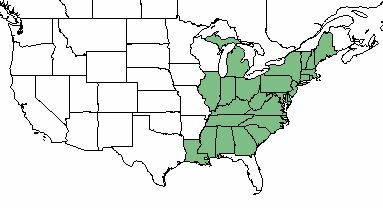 Chestnut oak, sometimes called rock chestnut oak, rock oak, or tanbark oak, is commonly found in the Appalachian region on dry, infertile soils and rocky ridges but reaches best growth on rich well-drained soils along streams. 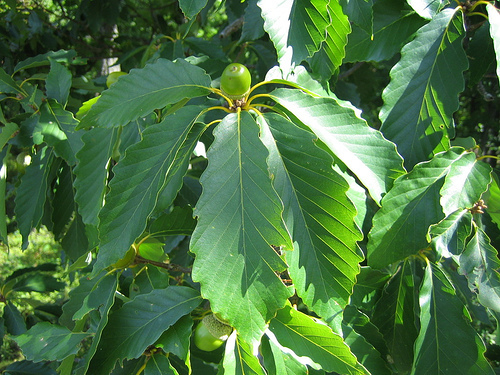 Good acorn crops on this medium-sized, long-lived tree are infrequent, but the sweet nuts are eaten by wildlife when available. 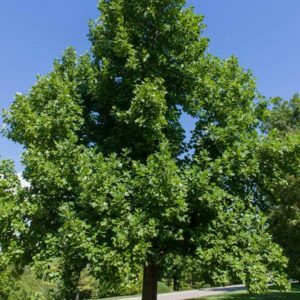 Chestnut oak is slow growing and the lumber is cut and sold as white oak.Tolerates shallow, rocky soils, but grows tallest in rich, loamy soils. Very drought tolerant and pH-adaptable. 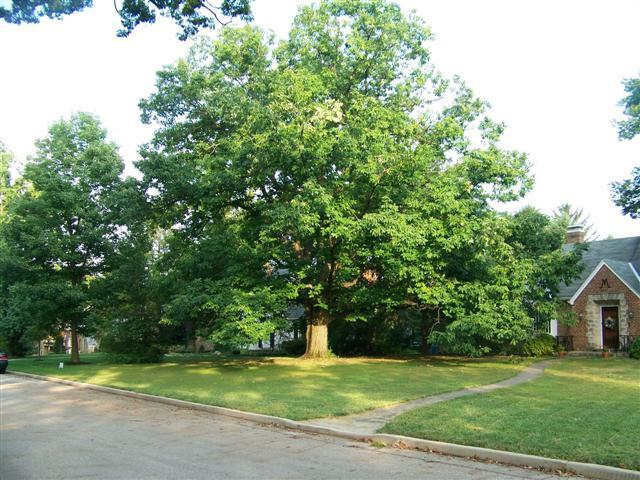 Chestnut oak is a ridge top species that is good at securing the soil without disturbing the area around them. 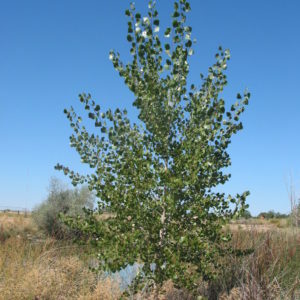 An excellent, unique shade tree. 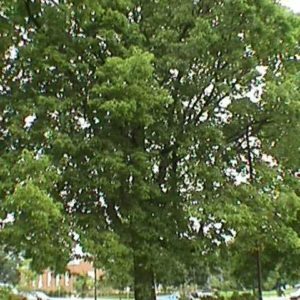 *2017 Urban Tree of the Year by Society of Municipal Arborists.